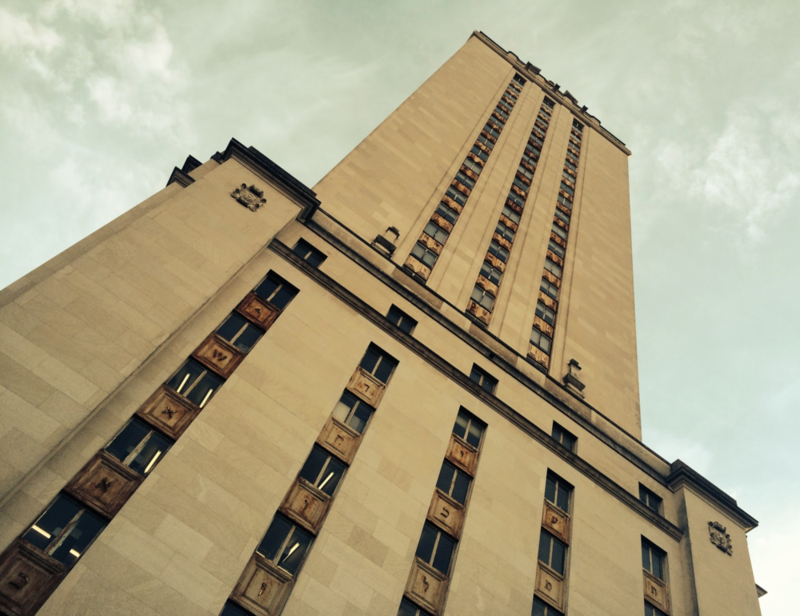 In August 1966, the University of Texas at Austin found itself at the mercy of a sniper perched at the top of a tower at the center of the campus. Ninety-six terrifying minutes later, more than a dozen were dead, many more injured and an entire community was traumatized. It was the first mass shooting at a school in America - and, of course, far from the last. From its opening moments, the mesmerizing Tower pulls viewers directly into the horror of the unfolding murder spree. 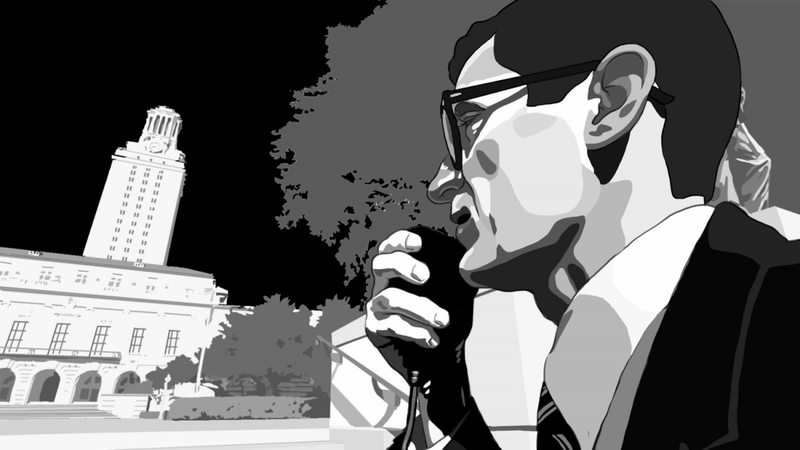 Its dazzling use of rotoscopic animation and vivid eyewitness testimony contribute to one of the most effective accountings of a historical event that I've ever seen in a documentary. At the BFI London Film Festival press screening I attended, the film drew rare applause. And no wonder: by the end of the film you feel like you have been there, and that you had a lucky escape. Keith Maitland: A couple things from the very outset that struck me were, I would never be able to include everything, and I wanted the film to speak to people emotionally and from a human place. So, I would err on the side of character and humanity and emotion over information. I wanted to trust the audience because I like it when filmmakers trust me to put it together. And I wanted the viewer to feel the way those people felt, which was that this came out of the blue. And so, any deep backstory, any setup, anything that would tip your hat that this is about to happen just didn't need to be there. I knew immediately when I decided to make the film that I wanted to make it animated. And I did that primarily because I knew that there was no way I'd be able to film the recreations on campus in live action in a compelling and cinematic way - [it would have been ] just too big a task. Animation was a great tool to overcome some of those hurdles. A lot of documentaries use animation, but what oftentimes makes it feel less effective to me is that it's used strictly as B roll. And if we just showed these people running from place to place, it would feel like B roll, and I wanted the animation to feel like A roll. And I wanted it to carry us along like a great animated film, where you stop thinking about the animation. I also wanted to make this film for teenagers. I wanted them to see themselves up on the screen and not see a 68 year old woman talking about an 18 year old girl. What's also interesting is that the animation is so effective at masking who are your current interviews and who are your archival interviews. Yes, two of the main interviews, Allen Crumb, the bookstore manager, and Houston McCoy, the blond cop, passed away before I started the project. But for every other character, the dialogue or monologue is taken directly from interviews that I did and then scripted. In the first hour of the film, I took those 20 hours of interviews that I had done and edited that down and scripted it out in Final Draft just like a narrative screenplay - with a nod to the idea that these are 50-years-later stories and a recognition that it's all based on memory. There are eight main characters and five man-on-the-street kind of characters. But we did on-camera interviews with about three-dozen people. And I've done telephone interviews with about 120. And then other people on my team have interviewed at least another 80. We've collected over 200 stories. We just got a grant from the City of Austin to develop an online home for all the stories. It will be map based, and I think it'll be called Tower Together. People will be able to upload their stories. Every time the film plays publicly, or word gets out in the media, our email lights up and we get two or three more people who say, "Oh, I was there." It's great when you start to reveal the real people behind the interviews. I've seen it before as a mechanism and it seemed to me that in Tower there was a good half an hour before the end of the film when you started to do it. Can you talk me through that? The first hour of the film gets a lot of attention. In some people's eyes, it's basically an animated action movie of that day. The part of the film that matters most to me is the last half-hour of the film. It's one thing to recount in an emotional and humanistic way this horrible action, but what was most interesting and most intriguing and I think most important was, How did this affect people over the course of their entire lives? I didn't want to make a recreation and then at the end cut to a photograph of the person that acknowledges that this is a real person. I wanted to hand off in the same way that says, This is an event that weighs heavily on somebody's life and deserves a full examination. There's the rest of their lives. And I wanted to remind people at the height of the intensity that these were real people. And so, where those reveals happen was strategic. You're actually the first person who's seen that it wasn't that late into it. Most people say, "You waited such a long time to reveal those people." It was a balancing act all the way through. I hoped that when the film was done, people wouldn't be able to remember which parts were archival footage and which parts were animation. Rotoscoping is a technique that is over a hundred years old. You film and edit the scenes in live action; we did it on video where we shot on a Canon C100 camera. When you see somebody walking across the screen holding books, wearing a period 1966 outfit, there is an actor holding those props and wearing that outfit. Because I knew the university wouldn't allow us to shoot on campus, most of the film is acted out in my backyard about two miles from the university in East Austin. Yes. There was a while where we tried to cast some celebrities. But we had a hard time explaining the concept to people, and we had no money to offer. So it was going have to be someone who got it and was passionate about it. And that's why Luke Wilson came onboard as an executive producer very early on: He grew up in Texas, like me, and had heard of the story and was interested. A film that was certainly an inspiration for me was Waltz with Bashir. I saw Ari Folman, the director, pitch that when it was still in its concept stage at Hot Docs in Toronto in 2004. That [film] was like a light bulb - and that's actually what encouraged me to use animation in my first documentary. But I would say like that the film and the quality of the animation that I take direct inspiration from is Waking Life, by Richard Linklater. And as somebody who lives in Austin, I interned for Linklater 20 years ago, just before he did that film...Rick has made such an impact on the world of independent film since 1991. But creatively the inspiration from Waking Life is because that film is about dreams, and he let this animation embrace its dreamlike quality. There's a looseness to it, but it's still tied to humanity because there are actors in live video underneath that animation. I appreciate that. When I saw that footage, I saw something that I had experienced myself on September 12, 2001. I was walking through Lower Manhattan and I witnessed something that I had never seen before, which was thousands of New York City residents on the street with nothing to do, going nowhere in particular, and making eye contact with each other...I think there's that same sense of, What do we do now? What can you say in a situation like that? And what can you expect someone else to say to you? I think that expectation was just wiped away. So many things. The very hardest thing was choosing which stories to include and knowing that we were excluding stories and even continuing to collect stories beyond the point of being able to include them and finding things that we wish we could get in there. From the human side, it was definitely just whittling down this massive event and asking people to look backwards 50 years into this most traumatic moment and knowing that some people would be disappointed that their story wasn't included. From a production standpoint, [the challenge was] convincing producers - not my production team, but financial producers to come aboard. We still haven't completed our budget. When I pitched this to producers initially, people said to me, "Who's going to care about this outside of Texas?" But now we have a release in Jerusalem. And we're playing five [other] cities in Israel. We're playing in seven cities in Canada. Here we are in London. I've screened the film in the Czech Republic, in Australia and New Zealand. It's screening in Iran in December. It's screened in South America. It's actually played more international festivals than domestic festivals. I think so. I don't come to documentary through a kind of classic documentary upbringing. I've worked in narrative film and have written screenplays. And I stepped into documentary ten years ago because I felt ready to direct a film, but I didn't have a script that I loved that I could produce for no money by myself...And I fell in love with telling real stories. There's a part of me that felt a little silly that I was working so hard to create something out of nothing, and when you look around, there are so many incredible stories waiting to be told. Tower is currently screening in New York and Los Angeles through Kino Lorber. Carol Nahra is a documentary journalist, consultant and lecturer based in London. She blogs at docsonscreens.com.